Share the post "Flower Expo Ukraine 2016 Is One Of The Leading Trade Shows In Eastern Europe"
Flower Expo Ukraine is Ukraine’s leading and only exhibition for Flower Business, Horticulture, Nurseries, Landscape Design and Floristry and is one of the leading trade shows for the entire horti- and floricultural sector in Eastern Europe. The exhibition was launched in 2006 by CoD Exhibitions in Kyiv under patronage of the Flower Council of Ukraine. In 2016 the exhibition will celebrate its 10-year anniversary. Flower Expo Ukraine will be held on 12 – 14 April 2016 and will take place at the International Exhibition Centre (IEC) in Kyiv, which is the largest exhibition centre in Ukraine. (How to get there: 15, Brovarskiy Prospekt, just 5 minutes walk from the metro station Livoberezhna (red line)). 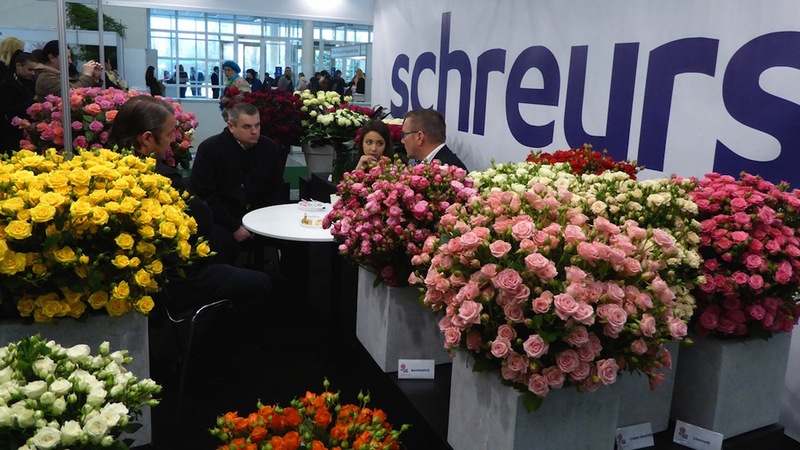 Many leading national and international companies participate at Flower Expo Ukraine yearly. In 2015 the exhibition was visited by approx 5.000 visitors (trade), and this year 2016 the organizers expect a 30-40% increase in terms of exhibitors and size. Currently the following countries will be represented at the exhibition: Colombia, Denmark, Ecuador, France, Italy, Germany, Israel, The Netherlands and Ukraine. Currently Ukraine is undergoing many changes, including the signing of the association treaty with the European Union by Ukraine’s newly elected president Petro Porochenko. The association treaty clears the way to a free trade agreement. So, many companies will be returning to the Ukrainian market, as they also believe that the market will further recover in the coming years. Flower Council of Ukraine initializes a new social project “Flowers are the energy of life”. It will be started on the grand opening of Flower Expo Ukraine 2016. This project is going to start with an interesting program “Bouquet-portrait”. Florists of the best Ukrainian flower’ companies will create an exclusive personal, even psychological, portrait in flowers of each leaders-women of the project– ‘bouquet-portrait’. Also there will be a great bouquet contest “Improvisation in roses” at the Flower Expo Ukraine 2016. Contest will be organized by International Floristic Academy of Natalia Aheeva and Flower Council of Ukraine. Also we are happy to inform you that International Floristic Academy of Natalia Aheeva will make an amazing presentation of wedding floristry “Mystery of wedding”. For sure it’s going to be beautiful, aesthetic, touching and gentle show. The Ukrainian League of Industrialists and Entrepreneurs and the Netherlands embassy in Kyiv are supporting the exhibition. Several events will be organised during the exhibition such as an extensive demo program with top floral designers Peter van der Sluis (The Netherlands) and Mark Frank (The Netherlands) plus a round table conference organised by the Netherlands Embassy. Please, check out the Flower Expo Ukraine website and find more useful information about the coming flower exhibition 2015 in Ukraine!